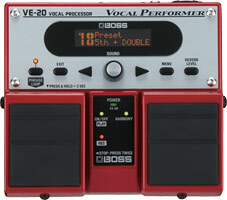 Vocal processors and accessories for performing, recording and rehearsing. 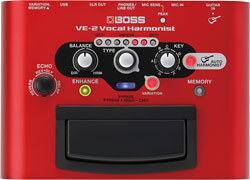 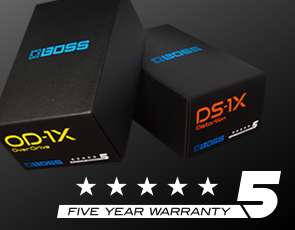 Powerhouse Vocal Tools for Your Pedalboard. 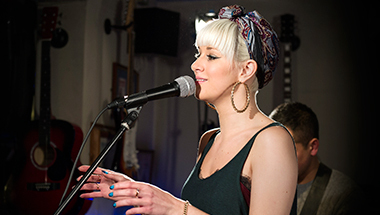 Perform live with studio-quality voice and acoustic guitar processing, impressive real-time vocal harmonies, looping, and more. 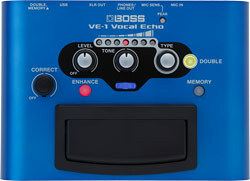 Lush reverb and other essential vocal tools magically packaged in a compact and user-friendly unit. 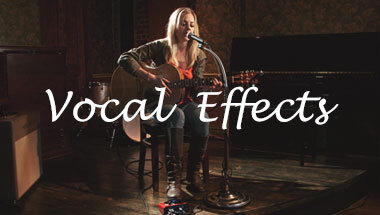 Specialized effects for vocalists including Harmony, Double-Track, Dynamics, Reverb, Delay, and more. 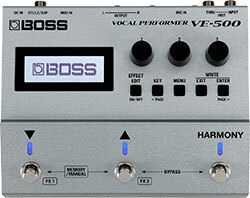 Compact and mobile personal effects processor and looper for vocalists. 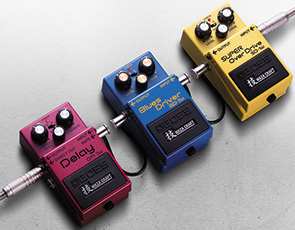 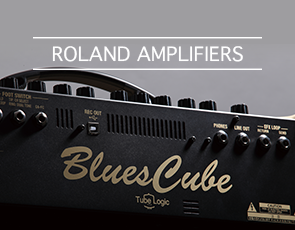 Powerful vocal expression for guitar and bass in an easy-to-use pedal. 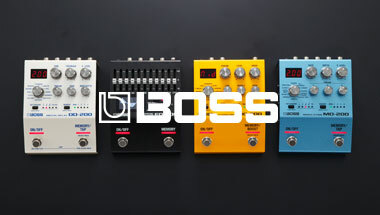 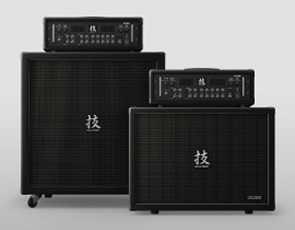 A Short History of BOSS Vocal Effects. 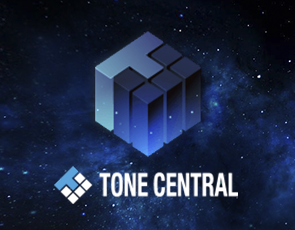 "Profesional Studio-quality Vocal Ambience At Your Fingertips! 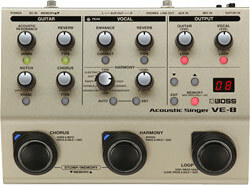 featuring Alice Ella"
The VE-2 magically creates beautiful harmonized vocals that follow your singing, with pitch that automatically tracks the chords played on a connected guitar, a preset key, or a combination of the two.